Currently we have perfect conditions with visibility up to 30 meters and more. As usual the northeast monsoon brings not only good visibility into the Baa Atoll but also strong currents coming from the East. We have to choose our dive sites carefully and luckily we have many long reefs where we can drift along for the entire dive. 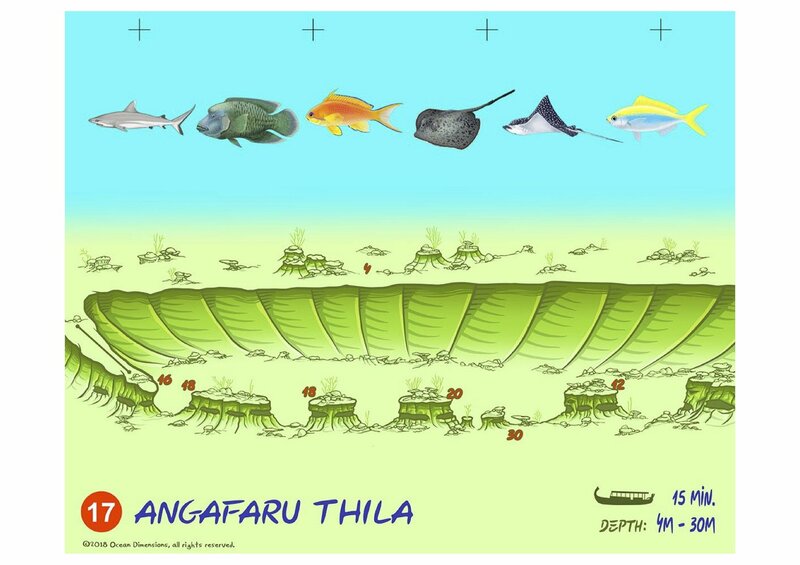 Angafaru Thila also known as Hatharu Thila is just one such long reef. The double name is because this reef is very close to the Angafaru Marine Protected Area and to explain the name Hatharu Thila I have a short lesson in Dhivehi, the local language for you. Ekeh, dheyeh, thineh, hathareh, faheh – one, two, three, four, five…. counting in Dhivehi. 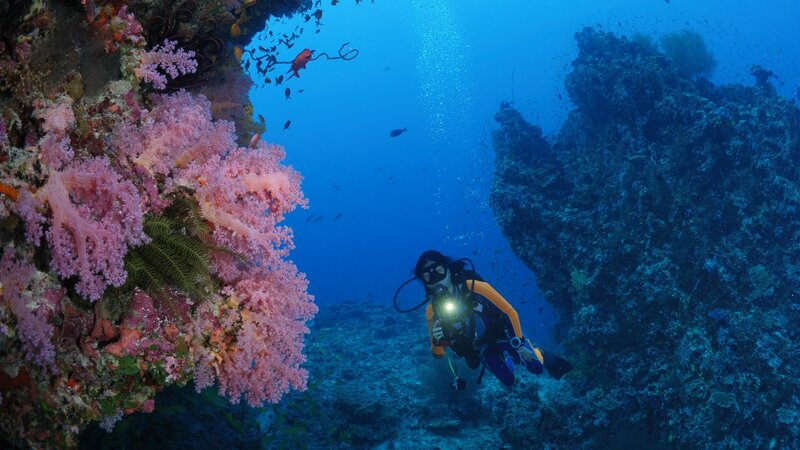 If you enjoy excellent visibility and drift diving – visit us during this time of the year.